The attraction of magnets is simply irresistible for kids! 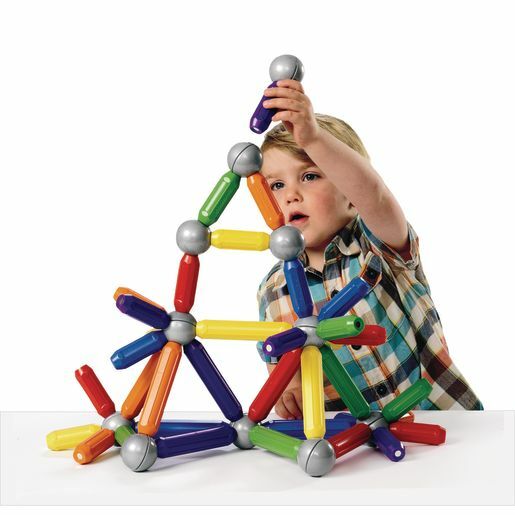 The large pieces are perfect for little hands and allow for large structures to be built by a wide age range. The bars have opposing magnetic polarity; a unique feature not found in other magnetic sets that make play time a learning experience as well.